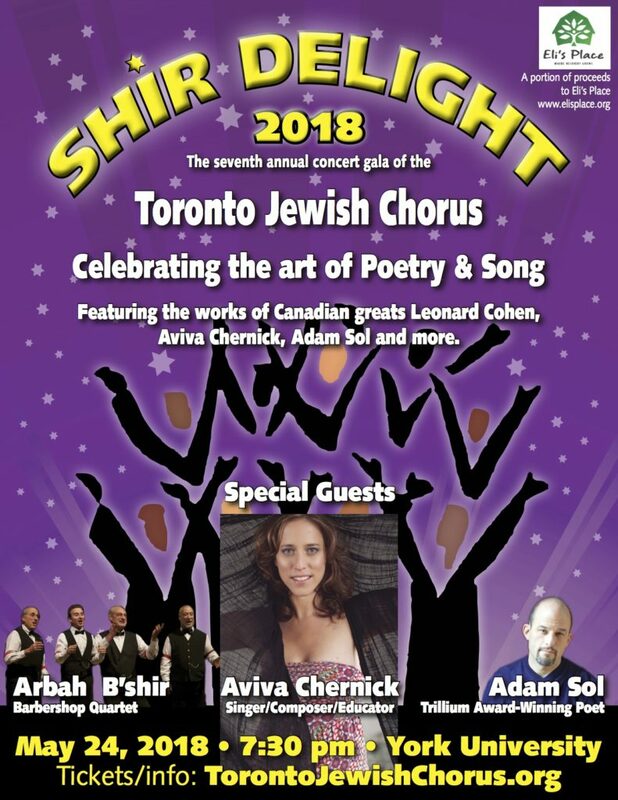 It is our pleasure to announce that the Toronto Jewish Chorus is presenting Shir Delight on Thursday, May 24 at 7:30pm and a portion of the proceeds will be generously donated in support of the work we do at Eli’s Place. Please join us for what is going to be an inspiring evening not to be missed! The concert will take place in the brand new Sandra Faire and Ivan Fecan Theatre at York University. This venue is easy to get to: for parking, enter the York University campus from Keele and Pond Rd., then turn right at James Gillies St to park in the Student Services Parking Garage. The Accolade East Building is kitty corner, just northwest of the garage. The theatre is also right beside the new York University TTC subway stop.